Southwest Florida is home to so many wonderful nature preserves full of interesting plant life and animals. While these parks offer may a variety of learning experiences for kids, hiking as a family can often be tricky. That’s why I’ve outlined the best nature hikes for families in the area. 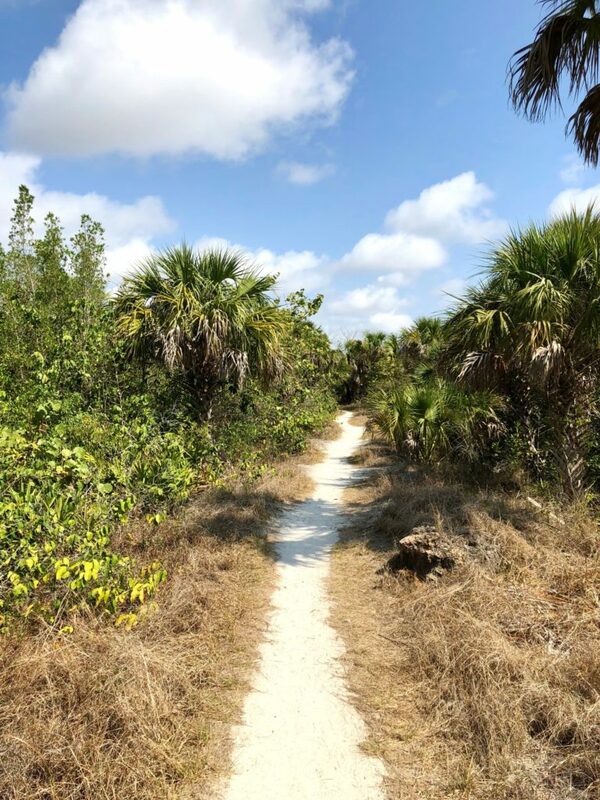 Each of these hikes are simple treks that offer tons of opportunities for an easy interaction with nature in Cape Coral, Fort Myers and Naples. 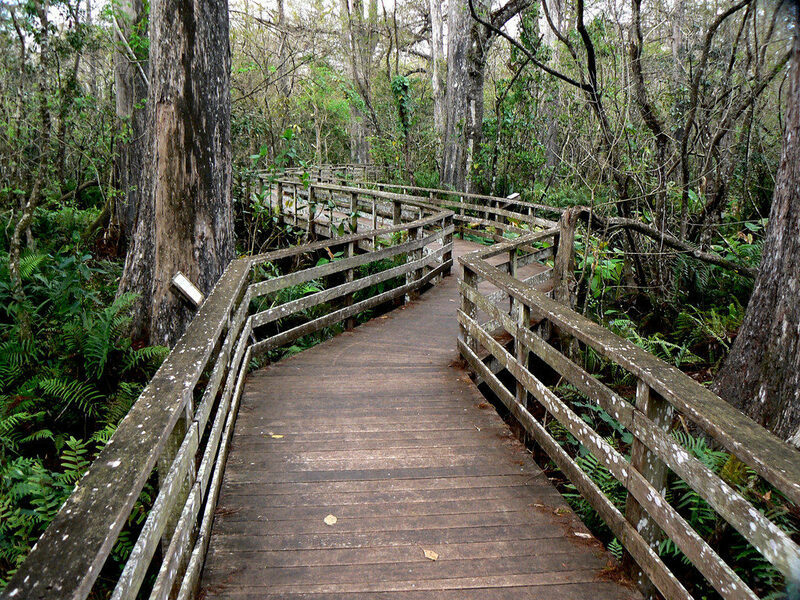 Enjoy the wonders of nature in southwest Florida on the Six Mile Cypress Slough Preserve. The beautiful hike traverses over 3,500 acres of intermingled wetland and upland ecosystems on a boardwalk trail. One of the wonderful aspects of this hike is the fact that the slough changes with the seasons. The dry season is from October to May, while the wet season runs from June through September. During the wet season, the slough slowly filters rainwater to Estero Bay. This beautiful nature preserve in Cape Coral is home to 97 acres of salt marsh and upland, giving hikers wonderful views of a variety of Florida wildlife in Rotary Park. The Glover Bight Trail is a wheelchair accessible and stroller friendly boardwalk that passes through mangrove wetlands and shallow flats. The trail’s end offers exceptional bird watching and other small marshland animals, like snakes, fish, lizards, and turtles can be seen throughout the hike. After your hike, be sure to visit the Butterfly House to interact with a variety of beautiful butterflies. 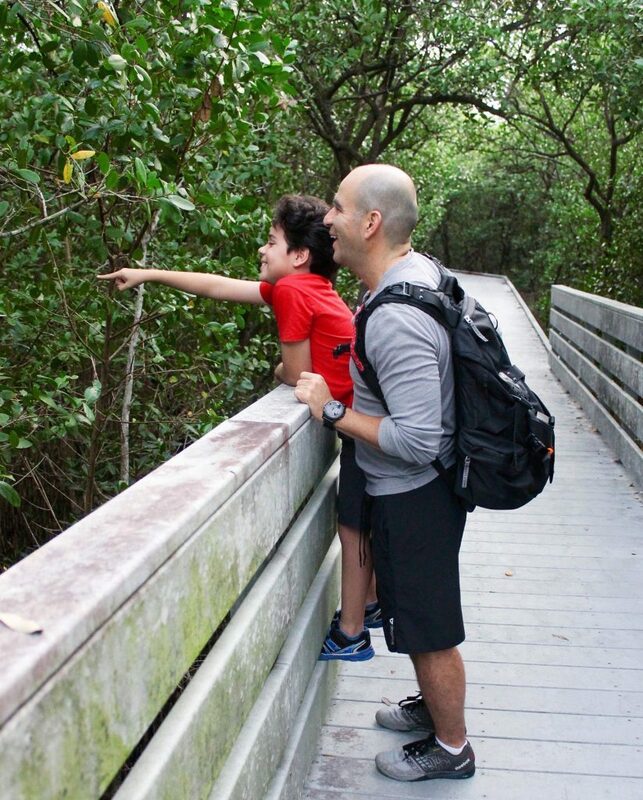 The Four Mile Cove Preserve provides families with the rare opportunity to walk along a forest of mangroves through a raised boardwalk above the water and marsh. The mostly shaded 1.2 mile hike is stroller friendly and wheelchair accessible and provides many opportunities to see wildlife and birds. The trail has an observation deck over the Caloosahatchee River where you can do some fishing as you enjoy the view of Fort Myers from across the river. Seasonal kayak rentals are available for exploring the mangrove tunnels by water. 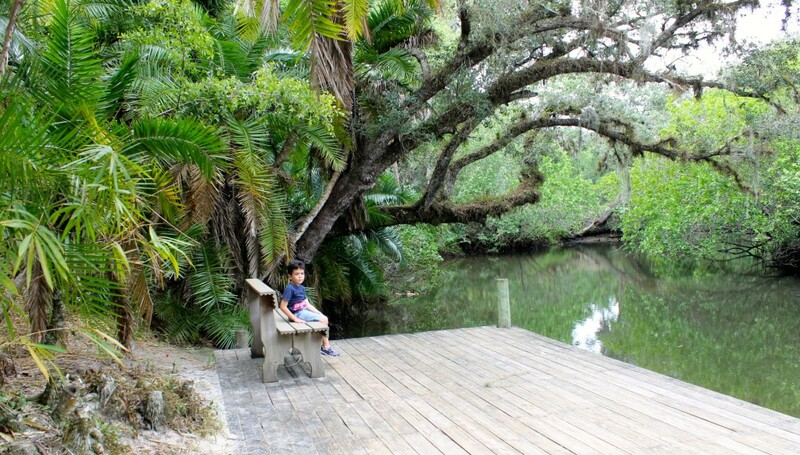 The Koreshan State Park in Estero has one of our favorite nature trails as well as an interesting and obscure slice of Southwest Florida history. You can start your hike learning about the historic 1890’s Koreshan Unity settlement and get a glimpse of how this the pioneering colony that led the development of Estero lived in those early years. 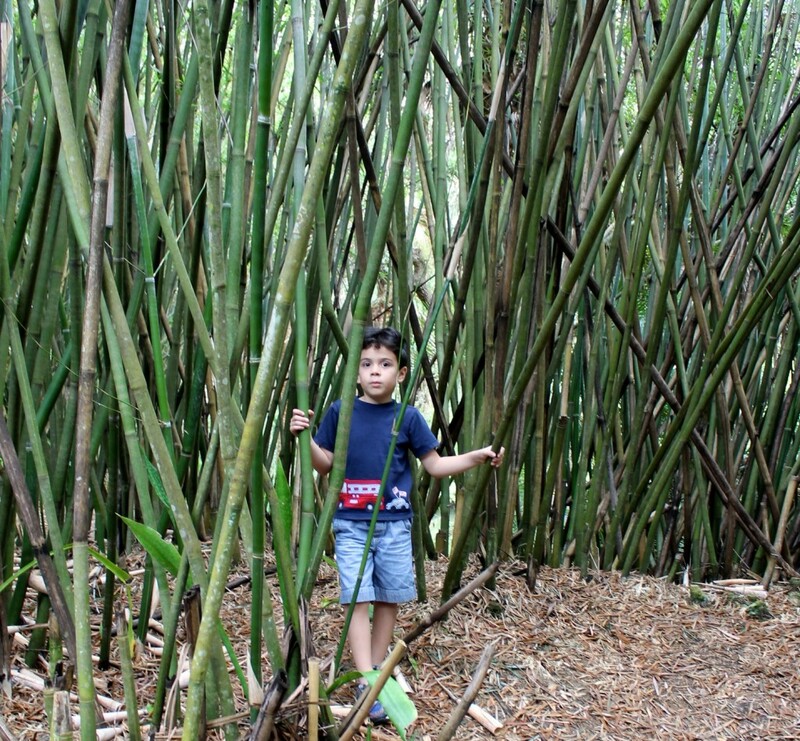 The nature paths and trails wind around the Estero river and through tall bamboo forests making it an exciting and interesting walk. My kids love walking along the trail and are motivated by reaching the shaded playground located in a large picnic area close to the river. You can also rent a kayak or canoe and enjoy the beautiful scenery from the river. Part of the largest undeveloped mangrove ecosystem in the country, J.N. 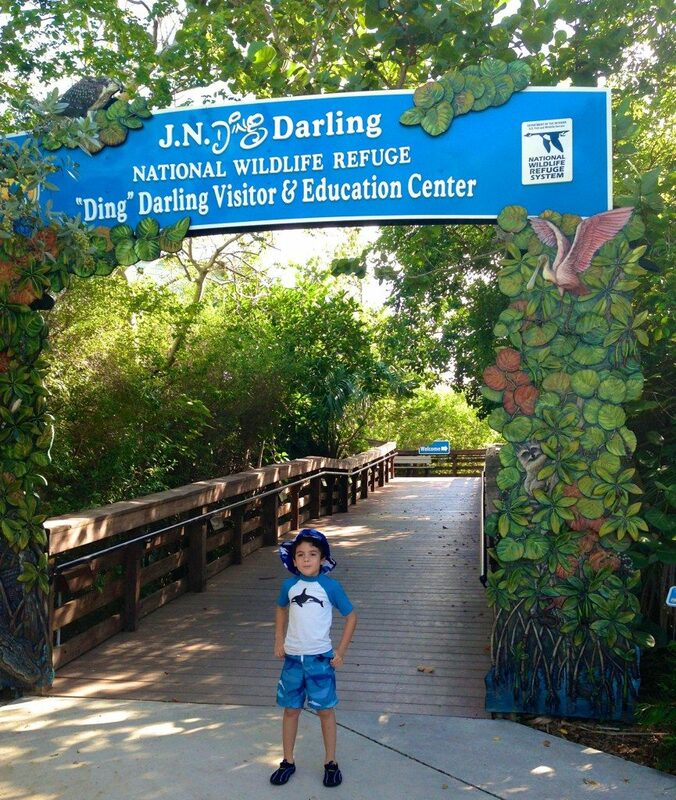 Ding Darling National Wildlife Refuge is made up of more than 6,400 acres of seagrass beds, mangrove forest, and cordgrass marshes. While the park offers a scenic drive around the refuge, to really explore the preserve you should take one of the many wonderful hiking trails available. Most of the trails are short walks aimed at focusing on a particular part of the refuge. 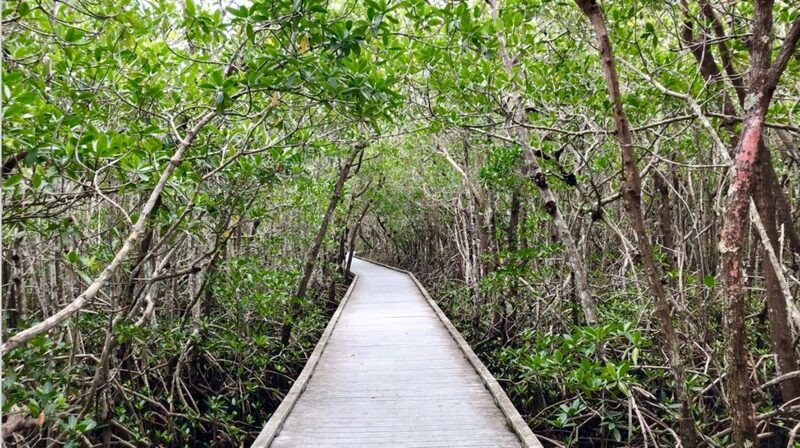 The Red Mangrove Overlook is the shortest trail in the preserve and offers great views of birds and mangrove crabs. During low tide, countless of water birds feed on the exposed mud flats. 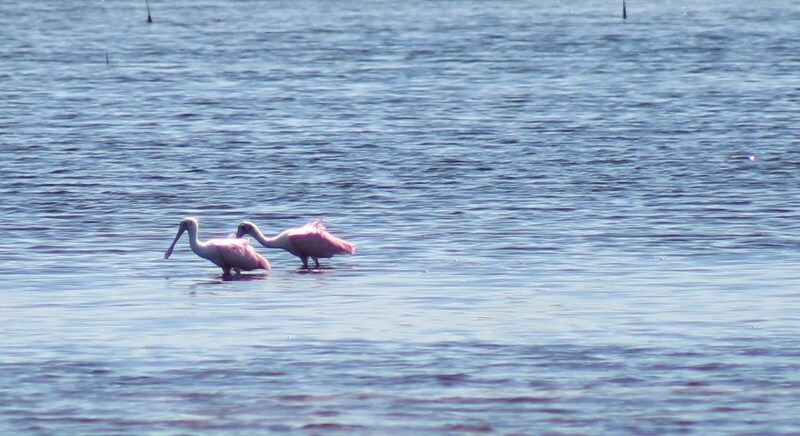 On our visits, we saw roseate spoonbills, reddish egrets, blue herons and many other small birds as well as turtles, alligators, and snakes. There are many places along the way where you can park the car and get out to see the wildlife and learn about it as well. There are also many trails that can be accessed from the Wildlife Drive. Tram tours are offered through Tarpon Bay Explorers which is a great option as the tour guides provide a wealth of information about the area and the wildlife that you would not get if you toured on your own. There are also kayak/canoe and sealife interpretive tours and bicycles, kayaks, canoes and pontoon boats are available for rent. 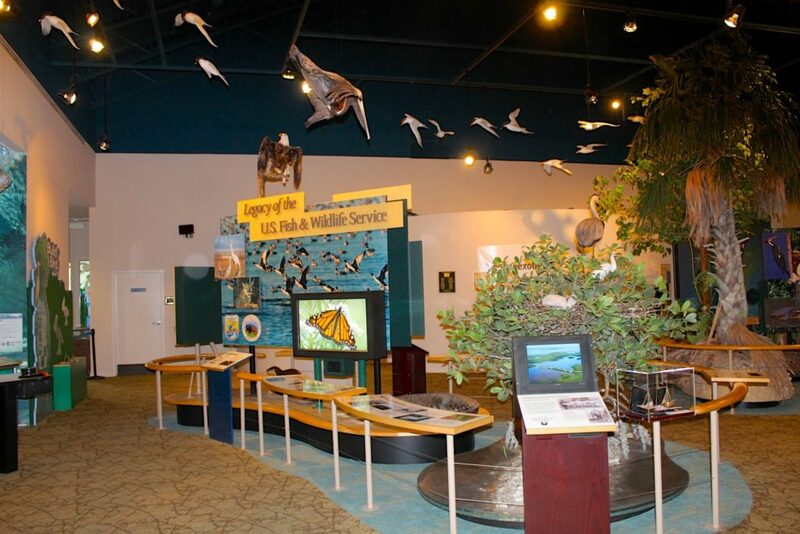 There is a small visitor center that has various interactive exhibits and lots of information about the local ecosystems and their inhabitants. We spend about half an hour at the visitor center before heading out on the Wildlife Drive. At the center, kids can earn a ranger badge and both of my children walked out with coloring books and lots of fun activities. 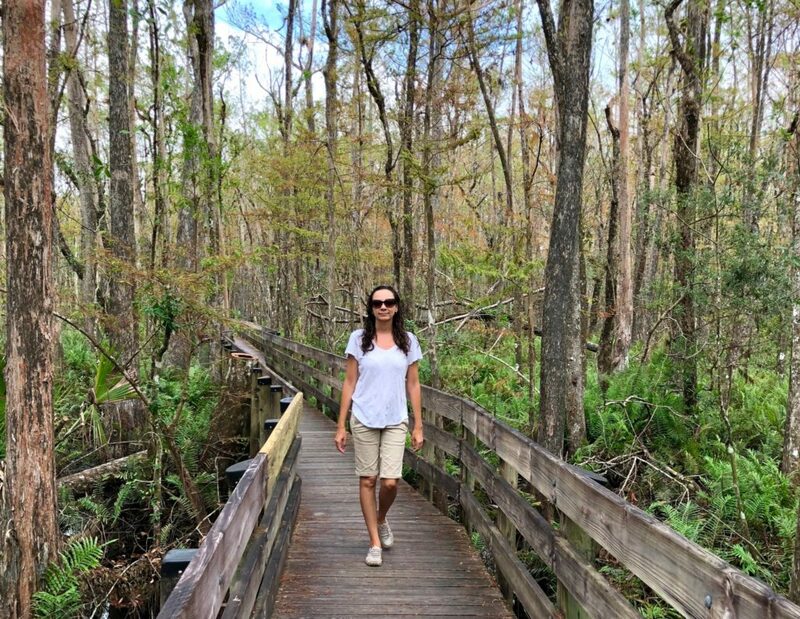 Take a trip through an Everglades ecosystem in Audubon’s Corkscrew Swamp Sanctuary. The park’s easy 2.5-mile boardwalk hike travels through pine flatwoods, marshland, a west prairie, and ends in the largest old growth Bald Cypress forest in the country. 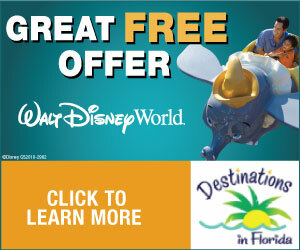 This nature sanctuary is home to a huge variety of Florida wildlife. 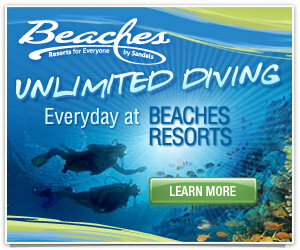 While hiking you’ll have the chance to view otters, alligators, turtles, deer, wading birds, raptors, and songbirds. It’s a great hike for families as the boardwalk makes easy even for the youngest ones and is stroller and wheelchair accessible. Kids will have a great time spotting birds and other wildlife. The scenery is beautiful, no wonder it’s one of the favorite spots for family portraits in Naples.